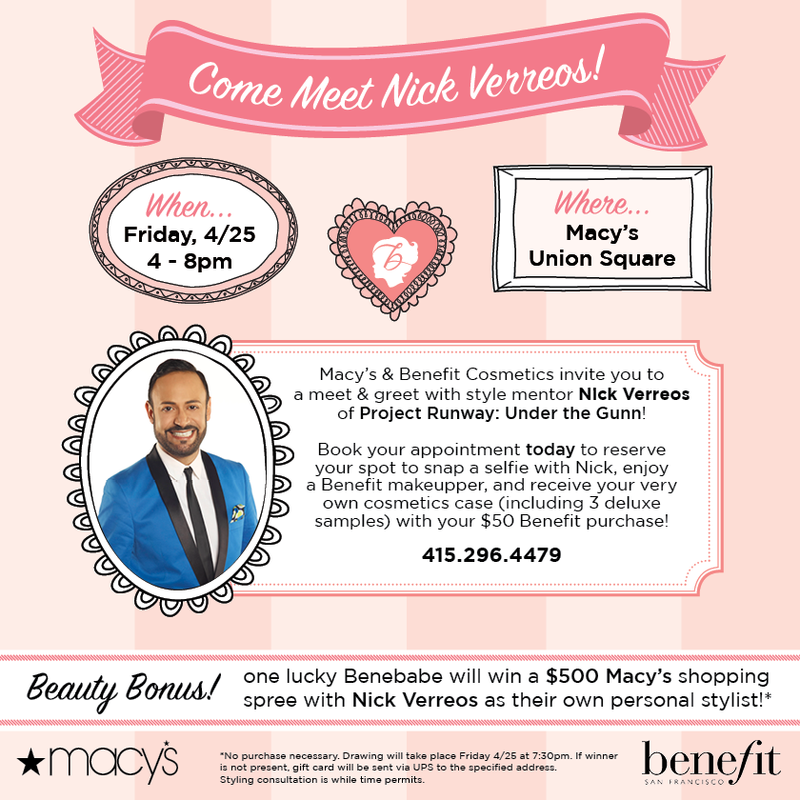 Home » Macy's Union Square » Nick Hosts » Nick Verreos » Nick Verreos Appearances » Nick Verreos Benefit Cosmetics » Nick Verreos Under The Gunn » Project Runway » NICK HOSTS.....San Francisco April 25th for Benefit Cosmetics Event Macy's Union Square! 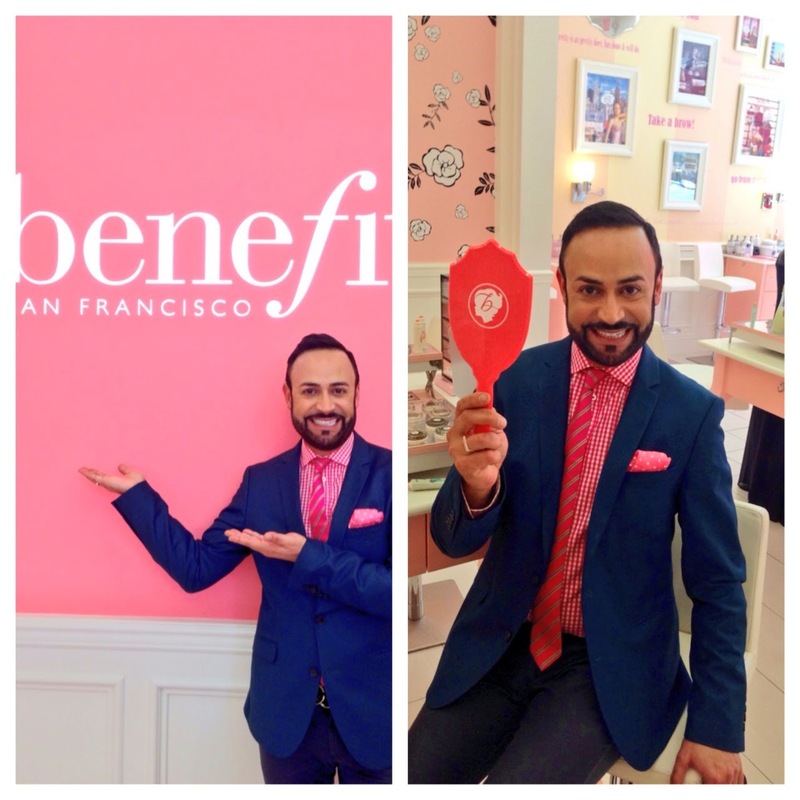 NICK HOSTS.....San Francisco April 25th for Benefit Cosmetics Event Macy's Union Square! I am so excited to announce that I will be in San Francisco--one of my FAVORITE cities in the world!--THIS FRIDAY April 25th, to host a very special event at the Macy's Union Square for Benefit Cosmetics! This FRIDAY from 4-8 PM you will enjoy a "Meet-and-Greet" with me, get to DISH about Project Runway and Project Runway: Under The Gunn and what it was like to WIN the Mentor title plus LOTS more! You can book appointments for a Benefit "Makeupper" (Hello!) and maybe a brow fixin' (I might be getting one myself!) and even have a chance to WIN a $500 Macy's Shopping Spree with....ME as your personal stylist! 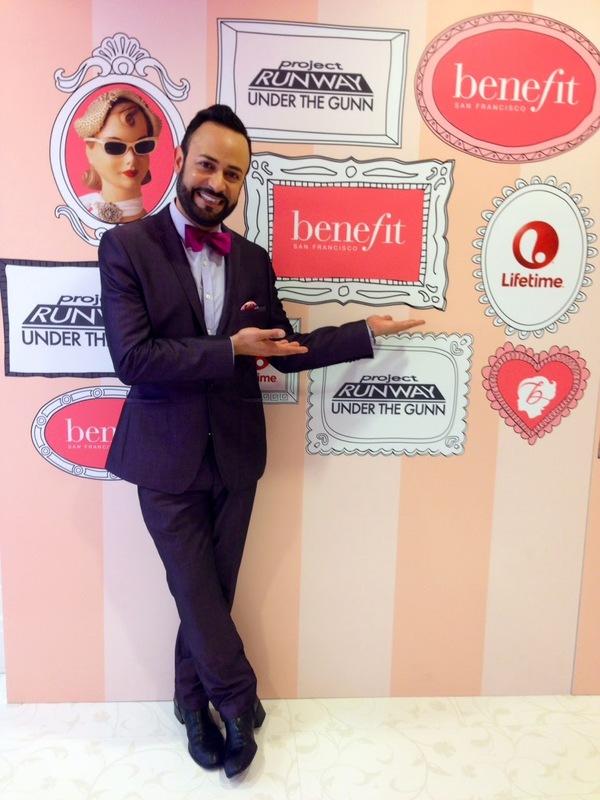 *One Lucky "Benebabe" will Win a $500 Macy's Shopping Spree with Nick Verreos as your Personal Stylist! See You in SAN FRANCISCO THIS FRIDAY Benebabes!!!! 0 Response to "NICK HOSTS.....San Francisco April 25th for Benefit Cosmetics Event Macy's Union Square!"